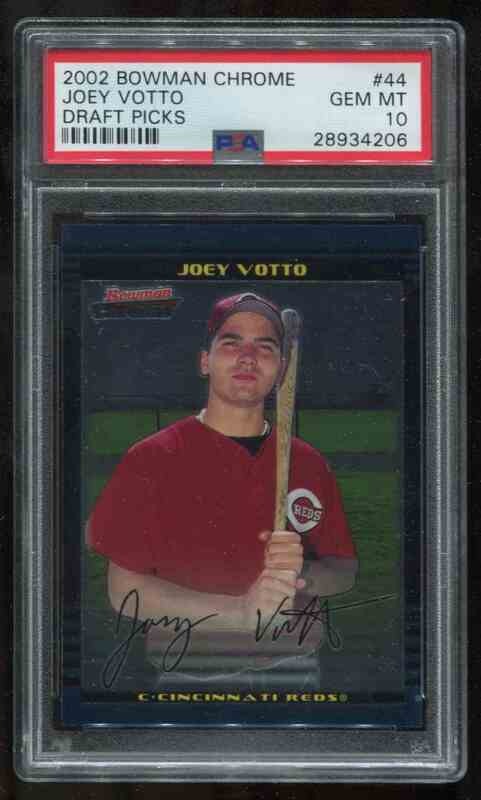 This is a rookie Baseball trading card of Joey Votto. 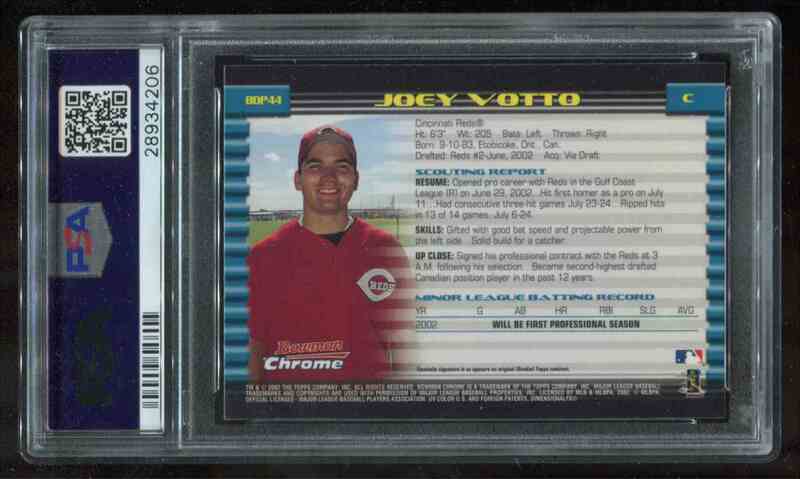 It comes from the 2002 Bowman Chrome Draft Picks set, card number 44. It is graded 10.0 by PSA. (Gem Mint). It is for sale at a price of $ 365.00.